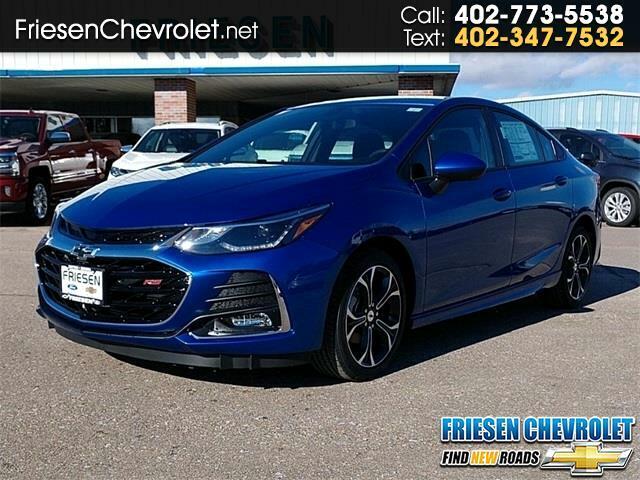 2019 Chevrolet Cruze LT in Kinetic Blue Metallic with Jet Black cloth interior. Front Wheel Drive with 6-Speed Automatic powered by a 1.4L 4-Cylinder Turbo engine. Plenty of pep to get you around town and down the road. 28/38 City/Highway MPG Must qualify for all applicable incentives to receive list price. See salesman for details. Visit our friendly sales team to take home this great car today.